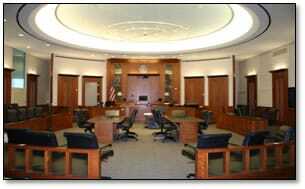 Competing with the mass media for successful courtroom persuasion | Jon Katz, P.C. Trial lawyers compete with a world of instant entertainment gratification, with most homes having multiple cable television channels with a clicker at the ready the moment interest wanes or a crappy commercial pops up. HD radio, Kindle, the Internet, and Amazon.com provide seemingly unlimited entertainment and distractions, to the point of being the opiate of the people. What makes movie A have mile-long lines and movie B struggle to get even five attendees? Sure, some of the artistically greatest films will garner audiences that are fractions of attendance of blockbuster movies that have great escapism and huge multilevel marketing budgets but little artistic value beyond the acting and special effects. Then again, some films like Forrest Gump get huge audiences and also include timeless messages told in the package of mainstream film. Some films and novels talk to the audience on at least two levels, one to attract audiences of all ages, and the other speaking much deeper messages. "2001: A Space Odyssey" might qualify as such a movie. How on earth can a trial lawyer compete with captive jurors’ entertainment options? One way is to be entertaining — in a sincere, caring and honest way of course — while still getting one’s serious and persuasive message across with a a gripping and persuasive story and themes that speak to the core of what motivates people. As entertainment options increase in society, perhaps some get numb from the reduction in live human contact as more people get and stay more wired to the Internet and glued to Hollywood and Madison Avenue fare, even when dealing with them live, as many people answer cell calls and voice mails when on an outing family and friends, which often is a very annoying disconnect. 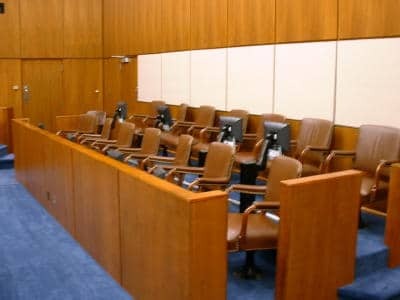 Persuasive trial lawyers, therefore, have an opportunity to satisfy the cravings of jurors and judges for live, gripping human drama, with the lawyer giving full time and attention to the jurors. Live concerts and theater typically are more gripping and spine-tingling than CD’s and films by the same performers and artists, as are paintings and interviews viewed in person. Moreover, the trial lawyer and performer can and must interact with and respond to jurors and judges, whereas musicians recording in a studio have no gauge of how to adjust in the moment to what their audiences like and do not like. This all relates to the path I endeavor to stay on and develop, of being in-the-moment, mindfulness, paying full time and attention, and t’ai chi. Power in being in the moment comes not merely from not dwelling on the past or on future problems that may never arise, but on fully engaging people, oneself, and present circumstances in the moment. One of the reasons I practice t’ai chi daily and t’ai chi sparring frequently is to keep my engagement skills sharp and improving. One of my favorite t’ai chi sparring partners — who practices medicine the rest of the week — is around sixty but looks closer to fifty, has many more years of t’ai chi practice on me, and with the enjoyment and optimism of a child looks me right in the eye and tells me when I have reacted too late to his efforts to push me to prevent me from being thrown off balance. Consequently, he already has excellent ingredients for being a great trial lawyer. At a mock trial, my eyes widened with delight as a cross-examiner was not only at once conversational, engaging, and enchanting, but through her being in the moment, she responded to a resistant witness by lovingly making a wiping motion with her hand, arm and full body, as if to wipe away the resistance and to gently offer the witness to try again, while showing the jury through the wiping motion that the witness was struggling to escape the truth, and to successfully get the witness under control. By contrast, the hand-wiping lawyer’s opposing counsel stunned me by converting from the lovable, joking man he is when greeting friends in the morning, to taking a serious tone in setting forth cross examination ground rules and asking tersely after each ground rule if the witness understood, to surprise listeners at the mock trial that he can be such a teddy bear out of court. The difference might have been explained by this perhaps revealing another side of him, or arising from the tension of performance anxiety, which underlines the importance of preparation to the point that no notes are produced and no script is recited. T’ai chi teaches using softness to be the most physically powerful, and often soft cross examination is much more persuasive to the jury — and to the witness not to resist as much — than an effort to destroy the witness, which destroying effort usually backfires, unless the jury has given permission to destroy the witness. As trial lawyer Terry McCarthy says, once you catch the fish, bag it and do not play with it. (As a vegetarian, I prefer to substitute tofu for fish, but that does not have the same ring.) That leaves little room for destroying the fish once it is caught. Besides the advantage of live human drama, trial lawyers have the advantage of presenting real situations — setting aside the extent to which any witnesses or evidence are untruthful — whereas most entertainment that people flock to is fiction, aside from athletics, but a good trial can also be akin to a good sporting event, including jousting. Consequently, a good trial lawyer can provide jurors with something interestingly different from their usual fiction and sports fare, and, therefore keep their interest up, and resentment about serving on a jury down, as well as keeping down their distraction.